Okay, I apologize in advance if this seems like the most random thing in the world to you, but I am OBSESSED. The truth is this is really more of a "Crumpled Twenty" best link, but I mean what could be more perfect for wasting time on a slowly disappearing Friday? So, I was messing around on InStyle's website, trying to see if I could locate an online version of my Ashley Tisdale "Living" profile in the June issue (yeah, you read that right). 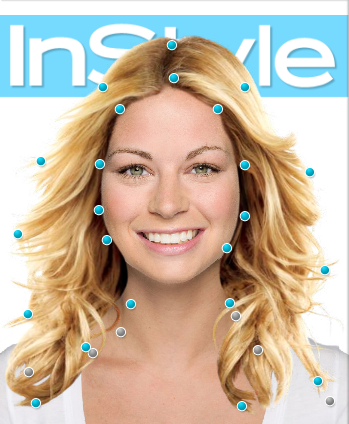 Anyway, I came across this beauty tool, which allows you to upload a photo of yourself and then try on various different celebrity haircuts, colors and styles from a Beyonce blonde to a Heidi Klum, well, blonde too. I mean, what could be more fun and time sucking than something like this??? I totally recommend it. And, in the meantime, know that I will be wasting valuable time this weekend trying to fit Meg Ryan's hair on my oval head. I could do this ALL DAY LONG. Seriously.